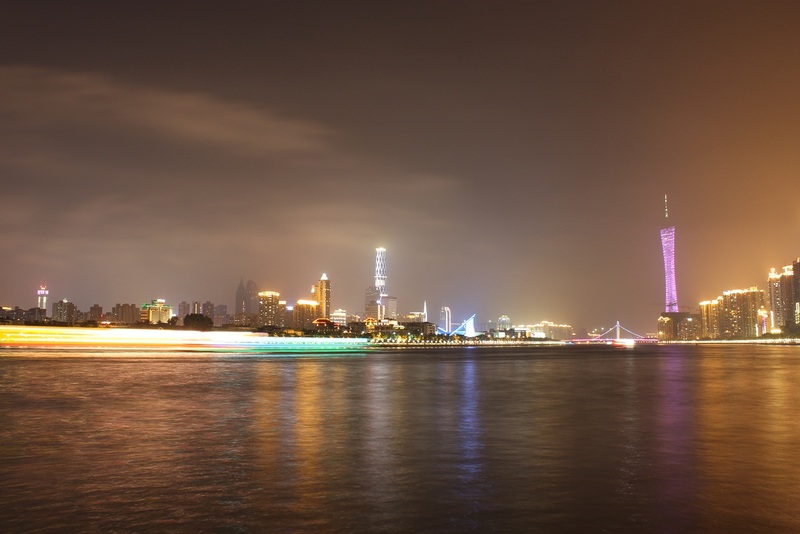 My reader Jason asked me to write about why I love living in Guangzhou and I’ve been thinking of this topic ever since. It’s not like I chose to come to Guangzhou because I wanted to live here, it was an easy choise as my Finnish university has cooperation with the Guangzhou University. Then I stayed in Guangzhou for more than the planned one semester because I met someone. Even though that ended, I’m grateful that the relationship made me want to stay in Guangzhou and I started my bachelor’s degree at Sun Yat-Sen University. Because at Sun Yat-Sen I met my Japanese classmate who later, when I was single again, introduced me to my boyfriend. That would have never happened if I had moved to Beijing like I first planned to do. During these three years I’ve grown attached to Guangzhou. I’m a person who likes to stay, I’m not a fan of changes or moving around. I noticed that there is something for everyone’s taste in Guangzhou. My own student circles first in University Island and now around my campus at Haizhu District. Me and my classmates enjoying the cheap food and entertainment in Binjiangdong and Jiangnanxi. 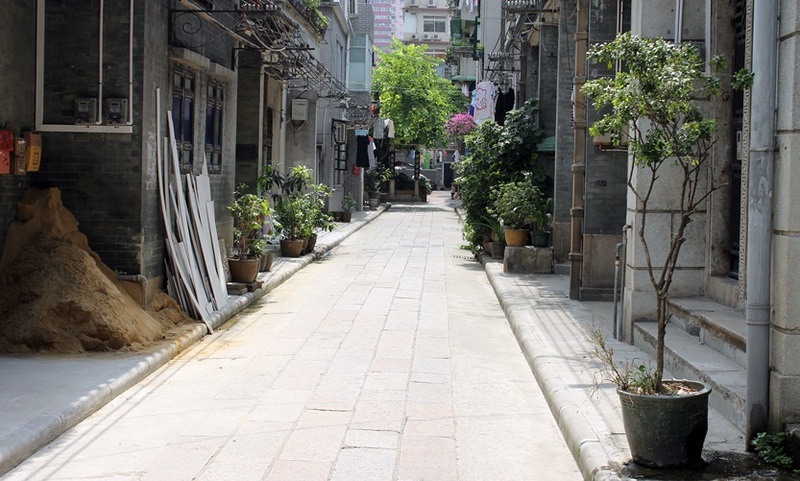 Then there are working expats living in Zhujiang New Town, Tianhe and Taojin, seeing a totally different side of Guangzhou between all the Western restaurants and bars. In this city you can live rich in a posh new district or modestly in a small village like I’m doing. Beijing’s air pollution is much worse than here, Shanghai seems to have a more international atmosphere and Hong Kong doesn’t fit my budget. But Guangzhou even has some clear blue sky during summer (like today), has a nice local feeling and you can eat really cheap if you want to. Hong Kong and that “other island” is out of the picture, because it’s the mainland culture and history I’m most interested in. Even though it might sometimes give me a headache. Living in a Cantonese area is a blessing and a curse. My Mandarin pronunciation would have been much better in the north with a Beijing boyfriend, that’s something I’ve fully realized recently. 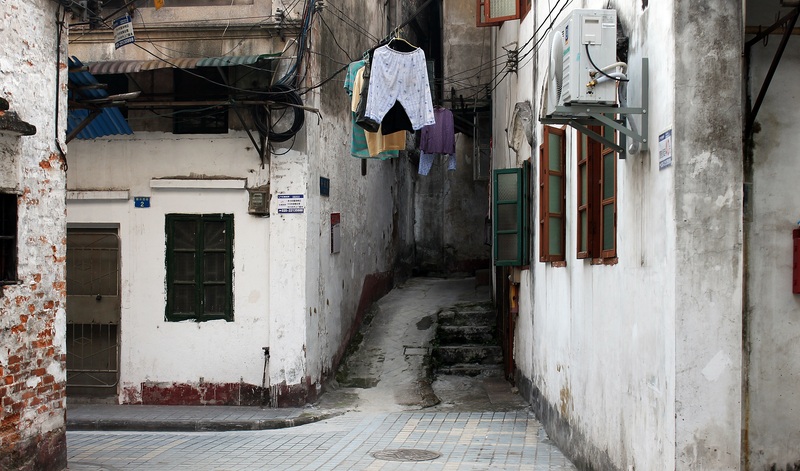 But living in Guangzhou also gives me the opportunity to step my toes in a new language, which I hope to learn someday. But I have to admit that I’m always thinking with my heart and sometimes forget my head. I always do what I want to do at that time of my life, even others would think my decisions don’t make much sense. I worked hard two years in order to get into history major, then moved to China before I graduated and forget all about that. Then I decided to specialize in Teaching Chinese opposed to most of my classmates choosing Business Chinese. I haven’t regretted that decision one bit, hell, I might even continue to master’s if I get the chance. I have never regretted moving to China and staying in Guangzhou. It has turned my life upside down, for the better! I’m eager to find out what life and Guangzhou have in storage for me. So why do you live or want to live in China? Are you happy where you live now or do you dream of moving to a new place? Please share in the comments! Just wrote a piece on Shenzhen, you can read it here if you’re interested: http://chinaelevatorstories.com/2013/07/31/shenzhen-the-nastiest-place-in-china-or-is-it-2/. 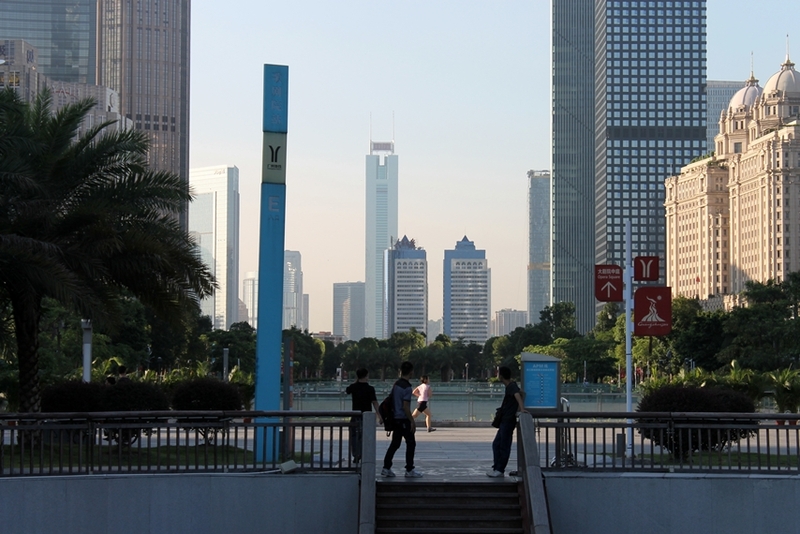 My decision to write that post was different from yours though – I’ve heard too many people tell me what they don’t like about Shenzhen (without having ever lived there though). Sometimes it’s better to think with the heart than with the head. The key is knowing which situation is suited to which kind of thinking. From the little I can see, you’re doing it right, though. I’ve become a big fan of making ones dreams come true, as it was the right step for me. I do think I’m on my way to putting my interests and passions together and hope to my a career out of it. I agree with Chris — heart over head isn’t necessarily a negative! And indeed, you’re doing it exactly as it should be done, so keep dreaming, Sara. Thank you Jocelyn :) I’m so happy to belong to this amazing online community where I can share my expriences with you and have such an awesome people reading my humble posts. Very interesting blog! I really enjoy reading it even though China is a complete stranger to me :-). Thank you! From you name I could guess you’re an expat at New York? How’s everything over there? I think a lot of people grow attached to living in Guangzhou. It has everything you would want when visiting a foreign country… history, culture, and interesting modernization. It is addicting to me to watch it progress, and I get very excited when I see a new restaurant or coffee shop I have never tried, or track the progress of a new subway line or skyscraper. One thing I am curious and maybe you can help with is what happens after your 4 years are done here? I know you could go get a masters if you have a scholarship or a huge bundle of cash, but what about job opportunities? One thing I wonder about is usually to get a job here legally (a work visa), you have to have 2 years experience after getting a bachelors. Have you found this to be true, or do Chinese language graduates get around that rule since you studied here? Maybe there are internships to gain that relevant experience? I know you are at the point where you are deciding your future and you certainly don’t want to leave GZ, so I am quite curious about this. Excellent questions Daniel, I hope I’d have the answers. Right now my plan is to apply for scholarships next year in order to do master’s, but that’s a big IF as I don’t have that huge bundle of cash around. The best case scenario would be to manage the half a year with tourist visas and then start studying again. For a job which could give me the correct working visa, I really don’t know. How could I get the two years working experience after graduation if I’m not allowed to work? This is a huge question mark on top of my head at the moment. I’ve tried to find information online, but as the new visa rules just happened, it’s harder to find up to date info right now. As I’m interested in freelance type of work and tutoring, there isn’t really any good visa option for me. I’ve gotten advice to open a company in HK and applying for business visas in China. But how long can I keep doing that? Then I could choose my work according to which company can give me the Z visa, but it’s not my plan to do work that I don’t enjoy for the rest of my life. I really don’t know what someone in my situation is supposed to do in order to have perfectly legal visa. I’ve heard rumors of Chinese green cards if you have lived more than 5 years and are marrried to a citizen, but don’t know is it even possible to get.